Lokal Homes is proud to announce our Castle Rock townhome community, Emerald Ridge. This intimate enclave of just 45 homes is located near the Plum Creek Golf Course and a short one-mile drive, walk, or bike ride to Historic Downtown Castle Rock – consistently ranked as one of the best places in Colorado to live! 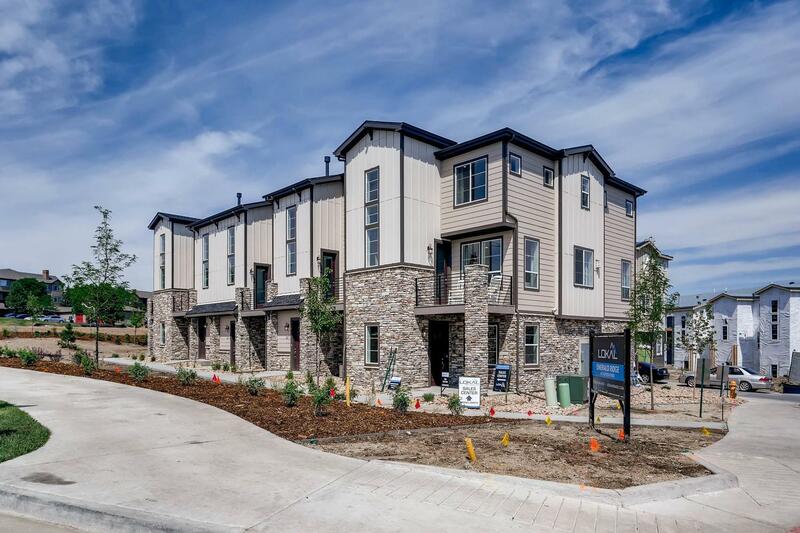 Our exquisite luxury townhomes start in the mid $300s, and range from 1,622 SF-1683 SF spaced across three floors. They include 2-4 bedrooms, 2.5-3.5 baths, and attached 2-car garages. Standard features include a great room, kitchen peninsula and walk-in closets. Our incredible design finishes allow homeowners to customize their new home to their specifications. For more information and to schedule a site tour, please call our New Home Specialist at (720) 656-4512.